$19 - As sophisticated as it is simple, this top from Splendid is the perfect addition to any girl's closet! 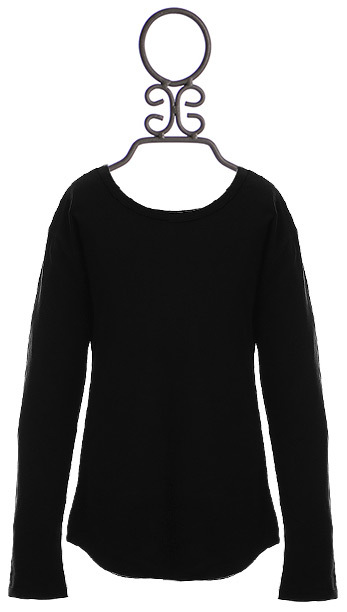 The simple black knit fabric envelops her with warmth and comfort as she plays with her friends or has a lazy day at home. The classic crewneck style can easily be dressed up or down and worn with almost any article of clothing in her closet! Pair with fluffy skirts or comfy sweats for a day full of fun no matter the occasion! Layer underneath sweaters or sassy jackets to create a new look for any day of the week. SIZE 10 ONLY AVAILABLE.